The city gets windy because of being directly by the lake, and I got a taste of that when visiting there. Of course, because when I travel, I’m a tourist traveler, I took advantage of the Chicago CITY Pass, where for one price you buy this, and you’re allowed entrance into all these Chicago base attractions for 7 days straight. BINGO. So, where did I visit? The first stop was the Museum of Science and Industry. 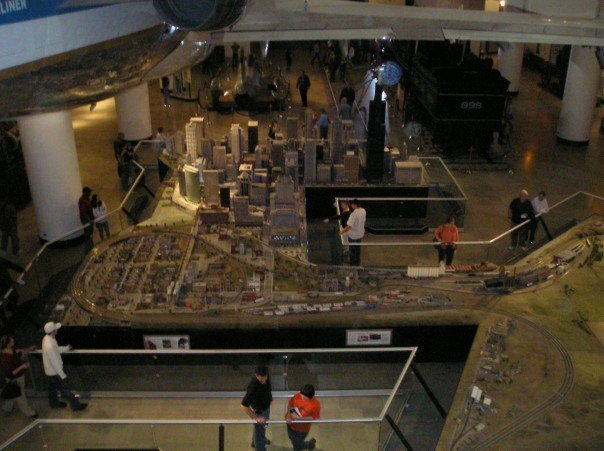 To this day, I don’t remember a whole lot about it other than the city replica of Chicago they created within the museum. I’ve always been a fan of pieces such as this, as I love the architectural design of buildings, and cities. This museum is huge, and we literally spent an entire day there. The following day we visited the part of town that had the Shedd’s Aquaranium, Field Museum and Adler Planetarium right there. We took to our feet and walked from our hotel room in the city to this part of town. The day started out nice and sunny and beautiful, but by the end of the day the wind set in, and it began to drizzle, and it got COLD. A huge wake up call to what the weather could be in a matter of a day within Chicago. 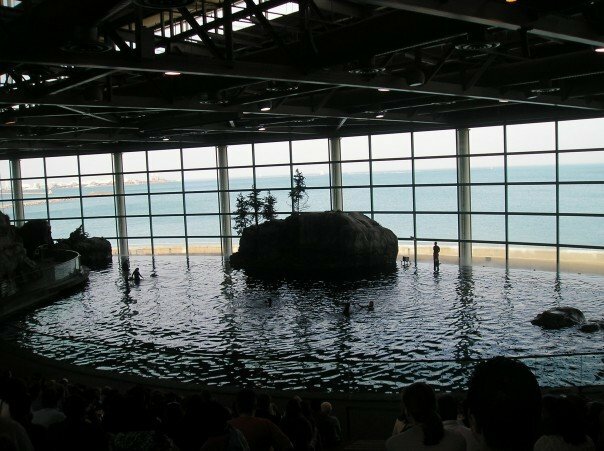 I’m a huge fan of DOLPHINS and the Shedd’s Aquaranium had a dolphin show. The thing I loved about their show was that you saw the water, but the backdrop was Lake Michigan. It made for a truly beautiful environment. And it was a fun show to watch as the dolphins did jumps and dances from the entire audience. 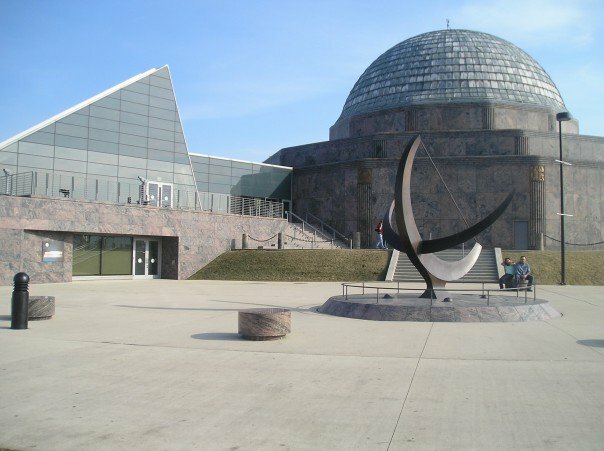 The Adler Planetarium. Minneapolis had gotten rid of their Planetarium years ago, so this was my first time in years visiting space again. I browsed there for hours on end, and loved every minute of it. They have great Planetarium shows throughout the course of the day, and other demonstrations that made the entire place a lot of fun. The Field Museum was down the block, and there we got our history on from seeing dinosaurs to ancient ruins. Although it wasn’t my favorite place, there was still a ton of great stuff to see there. And then that evening we headed over to the John Hancock Oberservatory to see the entire city in all its glory! Years prior to this trip, I was fortunate enough to take a field trip out to Chicago with my french class in high school to check out an exhibit at the Art Institute. It is, by far, one of the best ART Institutes in the US, and for any art enthiusiast, it is truly worth a visit. I didn’t want to end this blog without mentioning it. And the other thing about Chicago is the food. They are known for their Chicago Dogs, and their deep dish Chicago Pizzas, but there are a lot of wonderful eateries around town. For those that have been, what are some of your favorites? 15 Responses to Take me to CHICAGO! I went to Chicago last Fall and I fell in love with it. I totally want to go back and stay longer next time. That’s what’s so hard about travelling sometimes, and you go to a place once, and love what you see. There’s far too much to see in the world. Sounds like fantastic trip…..I love the City Pass and I try to get it everywhere we go. It is such a great deal for families especially and it gets us moving and doing things more. 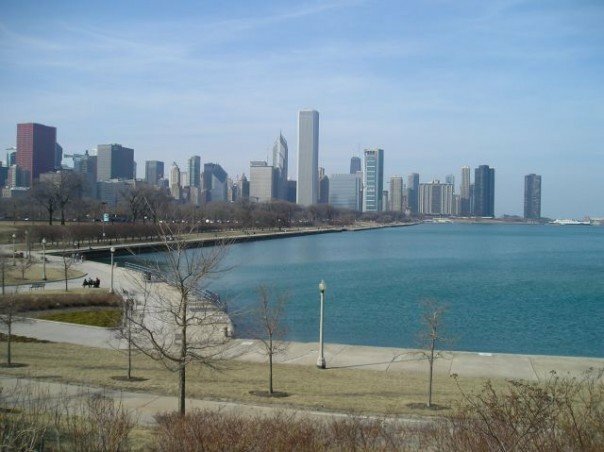 Chicago is one of the places on my list…. Is that what you guys used in Seattle? I was actually born in Chicago, and while I do not remember living there, we have spent a lot of time visiting there. Such a great city! Sounds like you had a fabulous time. Lovely photos, as usual. Dude, I love Chicago! I’m from W Michigan and went to college in da UP. Me and those lakes get along quite well! Great post and great trip!!! Sounds like an awesome time you had. I have never been to your side of the world…. and hope to experience it some day ! Oh, I have never been to Chicago. Living in California all my life, I was supposed to go to the East Coast this year but wont do that either. I love all the places you went to and the pictures. I’ve only visited Chicago once but I fell in love with it. It was such a nice city! 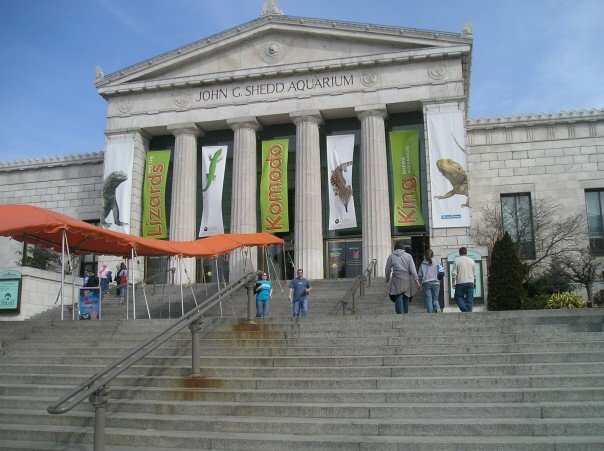 Went to Chicago some years back and visited many of the places you did. Wasn’t my favorite city – the traffic killed it for me – but it was still cool. Looks like you had a great time! I’ve never been to Chicago but I am a Minnesota girl too!